Bikes have come a long way since the humble penny farthing. There are a wide variety of bikes that all perform different tasks.It is essential that you ask yourself exactly what you want your bike to do; do not fall into the trap of getting a certain type of bike just because it is fashionable or cool. These bikes have big knobbly tyres, lots of gears and suspension. They are designed to perform off road on rough terrain. If you wanted to get a bike to commute to work or school this would not be a sensible choice, it would be rather like driving a tractor on the motorway. If however you wanted to speed down a mountainside or discover your local forest/off road cycle trail, they may be a sensible choice. Prices range from £100- £3,000 or more! 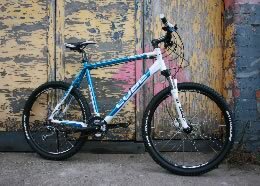 £400 will get you a reasonably competent mountain bike that will be good for a beginner. Road or racing bikes are recognisable by their light frames, narrow tyres and drop handlebars. They would be an ideal choice if you wanted to race with a local club or cover long distances at speed but are not suitable for any off road riding. Road bikes come in a variety of gearing option from single speeds to 27 speeds and offer multiple hand positions on the curvy bars. Prices range from £300-£5,000 or more. 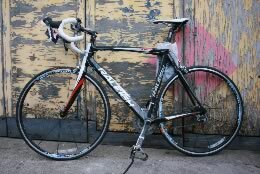 £600 will get you a reasonable club bike. Hybrids are designed with mixed riding in mind; they are a combination of the best points of both mountain bikes and road/racing bikes. Most Hybrids have larger diameter wheels and plenty of gears; they give a comfortable upright ride. Hybrid bikes generally have space for mudguards and all the necessary fixings to fix a rear rack, very useful for carrying luggage. 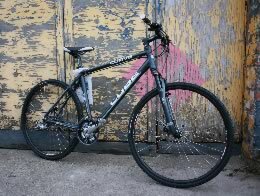 Hybrids would be an ideal choice for a commuter or someone wanting a ‘do it all’ bike. Prices range from £250-£1,000. Folding bikes are a great solution for people who want to take their cycle on public transport. A folding bike folds to the size of a large bag and can be taken on any train or bus. This makes them useful to cycle to the train station or to place in the boot of a car. 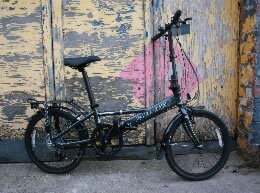 Folding bikes usually have a limited number of gears and small wheels. They are not designed to travel long distances but can be very versatile. Prices range from £250-£1,000. 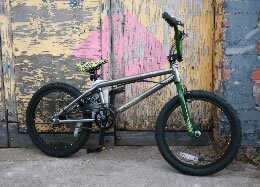 BMX bikes are designed to perform tricks and to race around an off-road course. BMX bikes are very strong with small wheels and a single gear. They are not designed to travel long distances on a road or in a forest. Prices range from £100-£500. These bikes are designed to carry a large amount of luggage over difficult terrain. They tend to be very strong and have a rack to the rear and sometimes a basket to the front. These bikes are designed to be comfortable and can be used as a real alternative to a car for shopping etc. Prices range from £300-£500. Electric bikes tend to be quite expensive and heavy and are usually designed around a hybrid bike frame. Some of the newer electric bikes use very sophisticated motors and batteries cutting down the weight and allowing a greater range. Electric bikes work by allowing the rider to cycle normally but using the electric motor to help up hills or to help combat rider fatigue. Prices range from £500-£1,000. Do you want to be very sociable? Tandem bikes are designed for two people. You can either have a mountain bike style tandem or a road version. Prices range from £500-£2500. These are not really bikes as they do not have a front wheel. These devices are great for getting out and about with children. 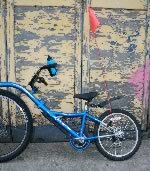 The tag-along attaches to the rear of a ‘normal’ bike and allows your little ones to help with the pedalling! Prices range from £120-£150.